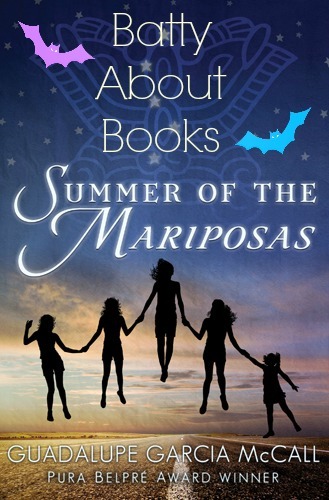 Kathy and I continue our discussion of Summer of the Mariposas, by Guadalupe Garcia McCall. It's been a bit of a stretch since the last post, so you may want to catch up! 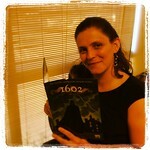 We chatted about the cover appeal and our expectations about the book in our first post. Our second post was about the first portion of the Hero's Journey the girls take. Today we jump into the second of three chunks of the book - the longest chunk. Don't forget to head on over to The Brain Lair for Kathy's thoughts and my responses for this section of the book. Well, it seems that life has really decided to intrude on our book chats for this one! It was the beginning of May when we began this journey, and we are just now returning to chat about the huge middle chunk of the story. When I teach this portion of the hero’s journey, it’s usually called “The Road of Trials”, and includes all the major obstacles on the path. I’m going to stick with the terminology we got from that wheel infographic. Definitely a “road of trials” in this section! “Mentor Teaches the Lead” - I think we got a lot of this in the first chunk of the book, with the La Llorona. Odilia’s magical earring is the way that her mentor helps her along the way, and just like Obi-wan, her mentor pops in to give advice and assistance occasionally. The “Great Mother” who gives magical assistance in La Llorona’s place... is she like the Force? This is the power that the girls are supposed to be tapping into. In my hero’s journey she’s referred to as the Goddess. And yes, they tap into her power, her love as it is, and it’s what’s protects them. I’m guessing it shows them they are not alone. And, as a nonStarWars person, I’m guessing yes, she is The Force. 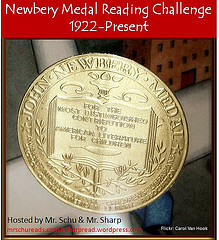 “First Challenge” - Well, they made it to the dead man’s home in the first chunk of the book. So should that count as their first major challenge? It’s this section, though, that really begins to have them encounter more magical opposition. So is Cecilia their first challenge on this magical leg of the quest? I guess trying to stick too precisely to any formula isn’t going to work perfectly. I think Cecilia was definitely a challenge but, as I see you have below, I would consider her the temptress! Ha! I think the Warlock was the first challenge. “Temptation” - I’m going to call this for Cecilia. They are lured in with a sense of peace - a hope that someone else can help them solve their problems. I think teens want to learn to be on their own, but they also want to go back to the safety of childhood. This is the temptation that Cecilia represents. I loved this part! It was a such a cool take on a recognized fairy tale. I think this is where the book takes a darker turn but at the same time serves to kickoff the girls helping each other. “Dark Moment” - I’m going with the nagual for this one. They were so close to death here. They worked together to recall the magical song from their childhood and summon divine assistance. I think all the trials here could be considered a collective “Dark Moment”. I felt the book was really dark here. The scenes with the warlock, the owls, and the chupacabra were pretty intense. Here the girls questioned themselves and had to fight what they were feeling inside. Especially when fighting the owls who seemed to use their deepest, darkest fears against them. I also think that Odilia is beginning to discover her hidden power - as she is told that she could be a strong healer like her Abuela. Her journey appears to be about not just learning physical healing, but also about helping her family heal after the departure of their father. So would this be the gift she is taking home? I was wondering what that would be because in this section of the journey you find something to bring back that will help everyone. I had supposed it was the girls renewed faith in each other and their mother. I do think that her healing “powers” are part of what she brings home. Maybe she’ll receive something tangible from her Abuela as well? I had a lot of fun trying to decide what connections I could make between the creatures she encounters in this section and their Greek counterparts. I especially liked that we got female versions. More on that in a moment. Cecilia - I think this is pretty obviously Circe. Terisita = Tiresias the blind seer. In the Odyssey, Tiresias is dead when consulted for his wisdom and requires blood to interact with them. The girls bring Terisita a goat, but no blood sacrifice is required. Terisita also seems to have a holy water well that she shares with the girls. I wish I could make a connection for her husband, the water giver. The Nagual = Polyphemus? He only has one eye (though there is a story reason behind that). They don’t really sneak away from him, though. Maybe this one is a stretch. I think the Great Mother could be Athena since she plays the role of Mentor in the Odyssey and that’s what she seems to be doing here. I also agree with Teresias and wonder if her husband would have a woman’s role - a goddess maybe? I like how he said the water could “wake up the dead” (160) tying in with the whole Hades thing. I agree, I think the Athena link makes the most sense. I am enjoying the heavily feminine storyline. Yes, they are returning that man’s body to his family and are missing their own father, but their concerns seem to focus almost exclusively on the sisters themselves and their concerns about their mother. I am not sure if I wanted them ALL to be women -- I think I did? We got a mixture of male and female villains, and I almost wish all the villains had been women. Or that the genders got swapped on each, maybe? Circe/Cecilia is such a stereotypical style female villain. I’d love to have seen her done in male form. Likewise, seeing the nagual in a female version would be cool. Regardless of those gender swaps, I do like the emphasis on the girls sticking together. I like how the oldest sister is growing and changing. I do fervently hope that she runs out of “wishes” and has to tackle at least one problem completely ON HER OWN. Continually being rescued by the magical earring of twirliness won’t cut it for me, if that ends up being how the whole thing works out. It would have been AWESOME to have all the genders switched. Do you think Cecilia would have still cooked? Sometimes the biases run so deep it’s hard to recognize them or, if we do see them, we don’t know how to fix them. Would they have gone to his house if it was a man? Could that be part of it? Though they did make some unintelligent decisions - Odilia leaving the sisters on the road and going alone to check out barn, them not being more cautious about going to barn right after the cave incident - I wonder if we would buy them following a man on his own. Even though they did follow Chencho, McCall made it apparent that he looked like a harmless young man that they could all beat up if necessary. Hmmm... good thoughts! I agree with the reasons for having Cecilia stay female. I think it would have stretched our credulity a lot more to have them follow a man like that. She still has at least 1 “wish” left right? And we have about 80 pages left. They need to get home and they still haven’t seen their father. CRAP! I just read that little part right before Part 3 and it ruined this for me. I do not like those entries. I haven’t read that intro section yet! I agree, I’m not a huge fan. But this IS a common strategy for old style stories. Maybe they didn’t feel the need to avoid spoilers the way modern readers do? I still want her to have to do at least one major thing without the support of the earring... here’s hoping!